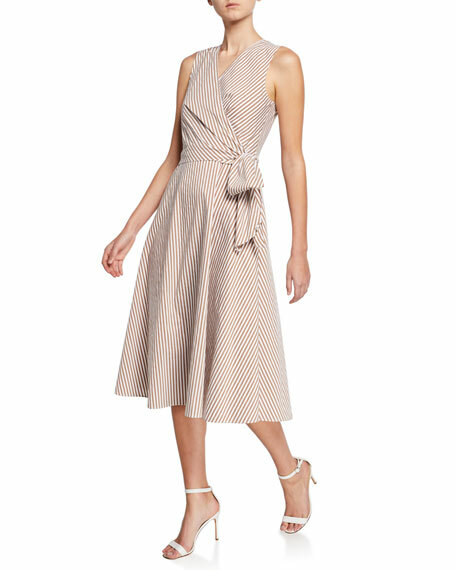 Halston Heritage printed ruched dress. For in-store inquiries, use sku #2437486. 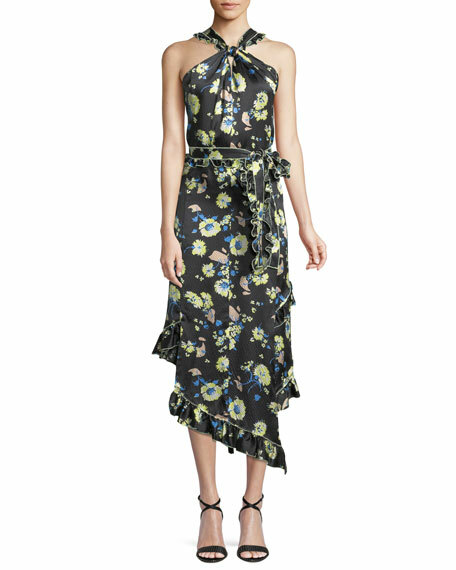 Derek Lam 10 Crosby dress in floral-print silk with ruffle trim. Twisted halter neckline. Sleeveless. Self-tie sash at waist. Asymmetric hem. Midi length. Side zip. Polyester lining. Imported. Diane von Furstenberg "Clover" textured knit dress with scalloped edges. Scoop neckline. Sleeveless. A-line silhouette. Midi length. Scalloped hem. Slipover style. Viscose/polyester. Imported.